The most expensive coffee in the world is harvested from civets' poop, but animal rights groups say keeping these animals in isolated cages is cruel. It's an exotic delicacy made from coffee beans found in the droppings of the Indonesian civet cat. Civet coffee is sold at five coffee shops around the Bay Area. San Francisco Eva's Coffee calls it the rarest and most luxurious coffee in the world, which they charge $15 a cup for. The drink is said to lower cholesterol and fight diabetes. The Asian civet is a type of cat that eats the flesh of ripe coffee beans. "Something about their body when it goes through it, makes it special. I don't know how, but it basically poops it out," Mary Gascon said. "The beans get washed like three times, so it's fine." After the animals eat the flesh of the ripe coffee cherries, their digestive system apparently imparts a smooth body and aroma to the beans, which emerge whole on the other side. Their droppings are then collected, cleaned, roasted and brewed for coffee. 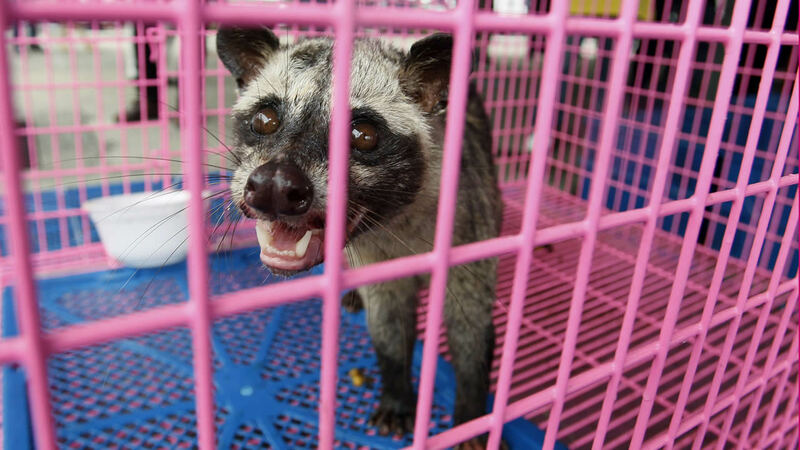 Historically, civets roamed free on coffee plantations, but now they mostly come from farms, where they are caged. There have been several investigations into the treatment of captive civet cats on Kopi Luwak farms. Critics say keeping these animals isolated in cages, eating only coffee cherries is cruel, and leads to erratic behavior and self-inflicted injuries. Animal rights groups say captivity takes a serious toll on the animals. Eva's barista says they get their coffee from free-range civets in the Philippines and not the farms in Indonesia. ABC News contributed to this story.